Let us take you to the amazing structure known as The Confederation Bridge and Gateway Village. 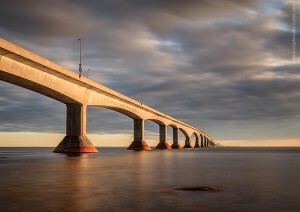 The Confederation Bridge connects mainland New Brunswick with P.E.I. 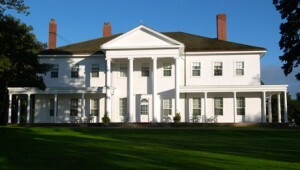 We enjoy a scenic drive through Victoria Park to see the creative landscape and scenic view as we stop to see the Lt. Governor’s Mansion. Lieutenant Governor of P.E.I.’s house. We make our way to the quaint village of Victoria By The Sea where you can shop for island treasures, dine in The Landmark Cafe, see the well known Victoria Playhouse, or just stroll through this tiny seaside hamlet. In Bordon we will stop at The Gateway Village Shopping Center. You will find an official Ann of Green Gables Store for all of your Anne souvenirs as well as many other treasures. Then its Bridge Time! We will see the Billion Dollar Structure called The Confederation Bridge , a 14km link to the mainland, specifically the Province of New Brunswick. We will take you to a superb location(s) for pictures, weather providing, where you will be able to see the Bridge at it’s best. During our return to Charlottetown you can inform the driver where you would like to be dropped; at the Ship or any Charlottetown location of your choice. Your Chauffeur will give you easy-to-follow directions to get you safely back to your ship.